Ron’s program will be this Sunday, October 28 at 2:00 p.m. in the mezzanine of the Delaware Main Library.ther time, when things were more innocent, people moved a bit slower, and a young man dreamed of an unknown future. The Delaware County District Library is proud to welcome many local authors, illustrators and performers to our library. On Friday, October 19 at 4 PM we will host author Toni Leland at the Delaware (Main) Library, as she discusses “Animals in Fiction,” a discussion of the various ways fiction writers incorporate animals into their stories. Read a synopsis of her newest book Double Exposure and come hear her talk about how Delaware County inspired the story. Ms. Leland’s professional background is firmly based in the equine industry. 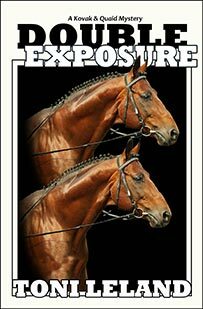 After establishing an advertising/graphics company in 1986, she moved quickly into the publishing sector, and designed and produced annual regional directories for several International Arabian Horse divisions, the NEW ENGLAND NUTMEG HORSE BULLETIN (a yearly events calendar), two bi-monthly breed magazines, and a horse-awareness promotion for a national association. She has published two non-fiction titles which continue to be top sellers in the industry: SHOW YOUR MINI (an exhibitor’s handbook) and SO YOU’RE EXPECTING A FOAL (a guidebook for mare owners). Since 1989, she has written many articles for the Miniature Horse industry, and continues to work as the editor for her publishing group. She began her serious fiction career in 1999 with two juvenile chapter-books. To date, she has published seven adult contemporary novels, one paranormal romance, and a Young Adult novella. Her fiction has appeared in several anthologies, magazines, and various writing newsletters. She keeps up with the writing community through her Facebook page, as well as membership in Sisters In Crime and Connecticut Authors and Publishers Association. Ms. Leland’s books will be available for purchase and autographing. 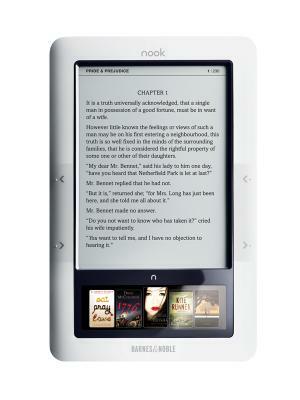 Do you have an eReader device that is confounding you? Are you confused about downloading eBooks from the Delaware County District Library’s web site and eBook databases? If so, Library staff is here to help. Stop by the Delaware (Main) Library on Thursday, October 18th anytime between 6:00-7:30 and bring your eReader device to the Library for a hands-on help session and to learn how to download free eBooks from the DCDL catalog, at the eBook Lab. Knowledgeable staff will be available to work one-on-one with you. If you don’t have a eReader but are considering buying one, you can “test drive” the many different kinds that the Library owns, without any high-pressure salesperson trying to get you to buy one. Again, our staff will be on hand to answer your questions and help you find the eReader that best suits your needs, or if you’re thinking of gifting one, the needs of the recipient. Of course, our staff is always eager to help answer any questions you may have about eReaders and eBooks, but the eBook Lab is a great way for you to really investigate the digital book world. On Tuesday, October 17 from 7:00-8:00 p.m. author Barney Saltzberg will present a program at the Delaware County District Library’s Orange Branch. 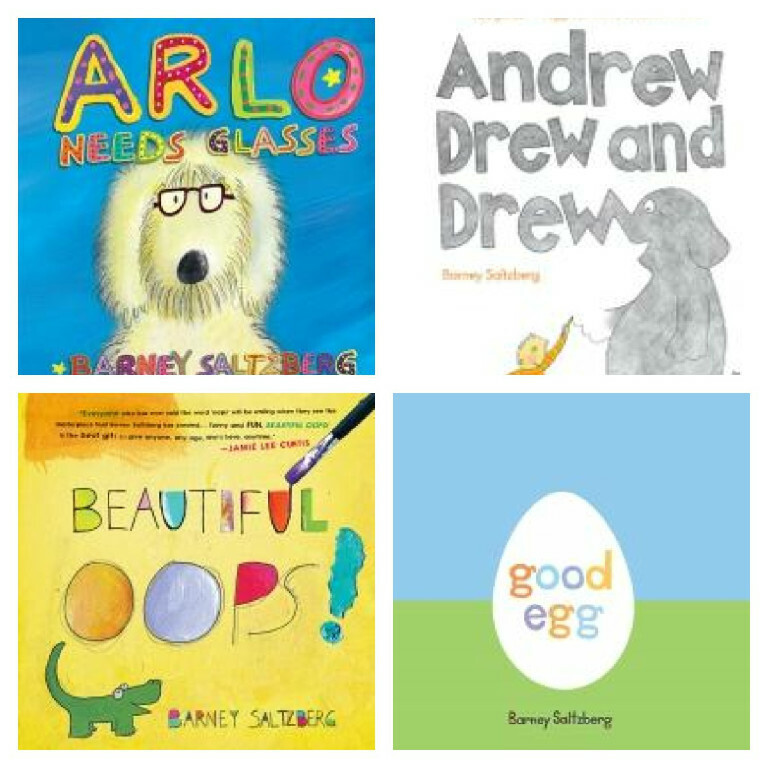 Barney is the author and illustrator of many children’s books, including Beautiful Oops!, Good Egg and the recently released Arlo Needs Glasses and Andrew Drew and Drew. Mr. Saltsberg will be autographing his books at the event, too. ahead of time by calling Fundamentals, 740-363-0290. A Celebration of Storytelling — Step right up, step right up! The Stories Alive! Celebration of Storytelling will take place at the Orange Branch Library on Saturday, October 13. Co-sponsored by the Friends of the Library and the Storytellers of Central Ohio, this is sure to be an exciting day for all ages. Children will hear tales from all around the world, tell their own short stories, interact and play with the storytellers, and settle in for the night with some spooky stories by the fire. Come and go as you please during this day-long celebration of the spoken word. Cafe Boaz, the coffee shop at the Delaware (Main) Library is open and ready for business! Under new management, the coffee shop offers a wide variety of coffees, including cappuccinos, espressos, and flavored coffees as well as wonderfully tasteful “straight” coffee. Cafe Boaz serves only Crimson Cup coffee, and it is delicious. If something fruit flavored is more to your taste, try a smoothie. And there are iced coffee drinks and snacks, too. What could be better than enjoying a satisfying beverage with an equally satisfying book? Enjoy a great cup of coffee while you’re reading today’s Gazette or Dispatch. Add a little caffeine to your day while your children are in story time, or your teen is gaming at the Library. Whatever your pleasure, Cafe Boaz is a great addition to DCDL. Stop by today to support this newest Delaware business. I think you’ll be delighted!